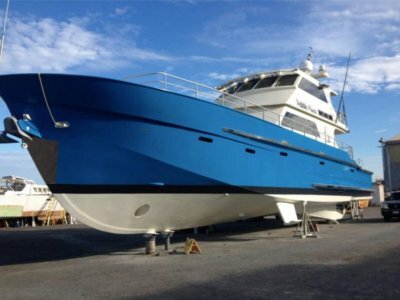 This motor yacht is constructed from the most modern materials and techniques providing more strength with less weight than possible with conventional technology. The use of Kevlar, modified epoxy resins and high density core materials, propriatery high pressure lamination system, vacuum bagged and engineered sandwich construction allow the Marlow Explorer to be strong and light. 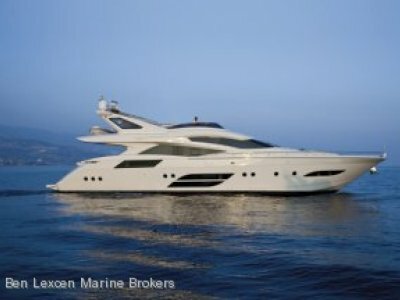 The use of modern honeycomb and structural foams is made on every counter, cabinet and sole in the yacht. 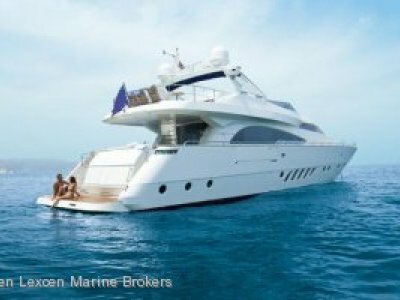 The result is a yacht that cruises at 24 knots with increased range and reduced fuel consumption as a result of its reduced weight. 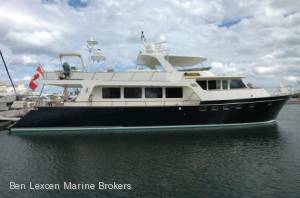 Centrally located on the main deck, aft of the pilot house, 2 steps up from salon. Opening in cabinets that allows seeing right through the galley, which can be closed with Tambour door. 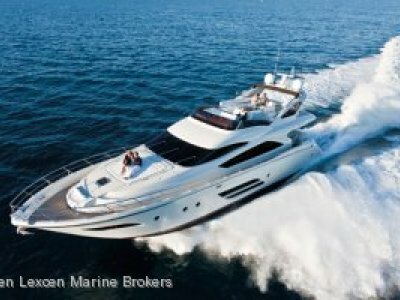 New in January 2011 (All instruments available at both pilothouse and flybridge stations unless specified). Furuno FL-50 multi-XL depth, speed etc. Wireless shifter/thruster remote by "Captain Controller"